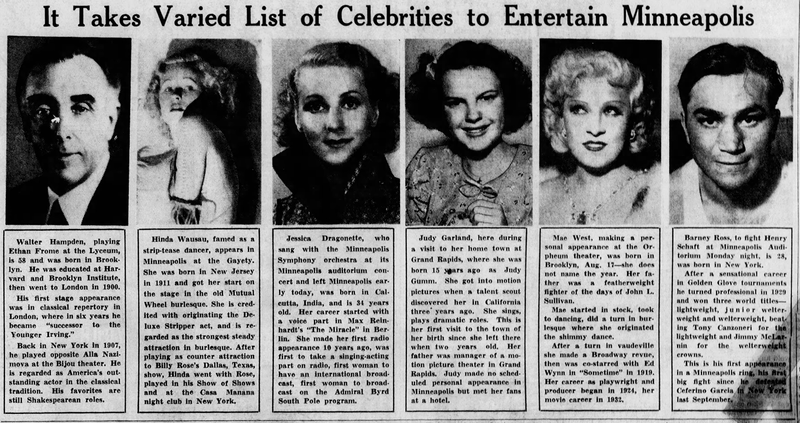 April 1, 1929: “The Gumm Sisters” (Judy and her two sisters) performed with “The Meglin Kiddies” at the Screen Stars Gambo; Benefit for Loyola University at the Shrine Auditorium in Los Angeles, California. Also on the bill were a couple of legends who would be a big part of Judy’s career, one way or the other, Sophie Tucker and Al Jolson. April 1, 1931: The first of a two-day engagement for the entire Gumm family at the Agricultural Conference at Union Hall in Lancaster, California. 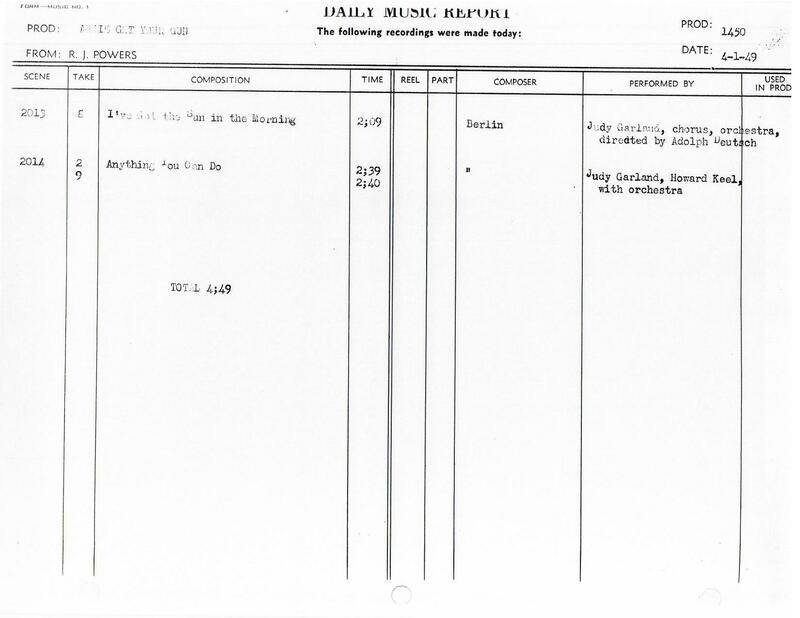 April 1, 1933: Frances(Judy) appeared on an unknown radio station out of Beverly Hills, California. No other information is known. 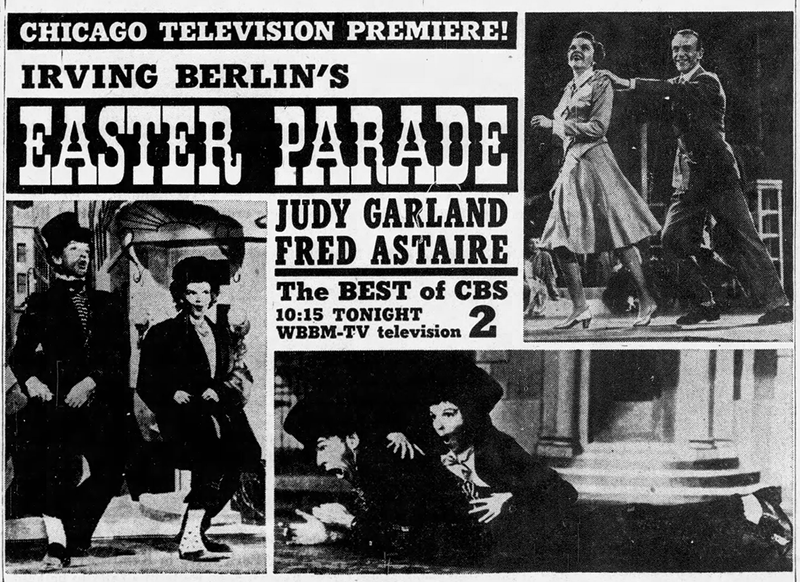 April 1, 1937: Edwin Schaller’s column mentioned a couple of titles planned for Judy to star in: Mary Rose of Mifflin and Blue Blood. Neither project happened. For more information about projects that Judy’s name was attached to, check out The Judy Room’s “Films That Got Away” pages here. April 1, 1938: Judy’s second, and last full day, in her birthplace, Grand Rapids, Minnesota. She and her mother left early April 2nd to head back to Chicago, Illinois, and then back to California. This was the first and last time Judy visited her birthplace. 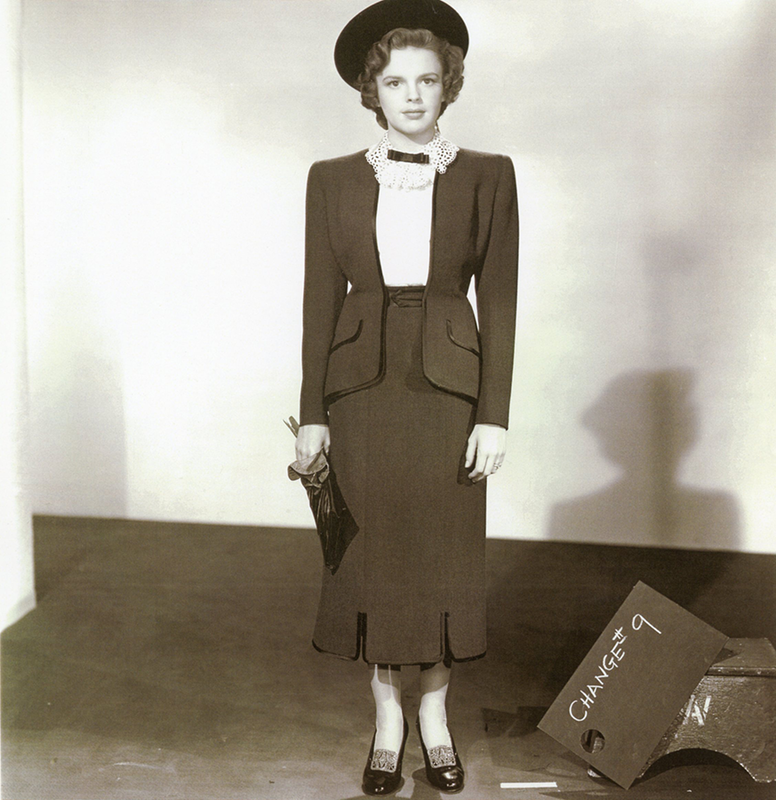 April 1, 1942: Judy had wardrobe tests and a rehearsal (probably more dance rehearsals) for For Me And My Gal. 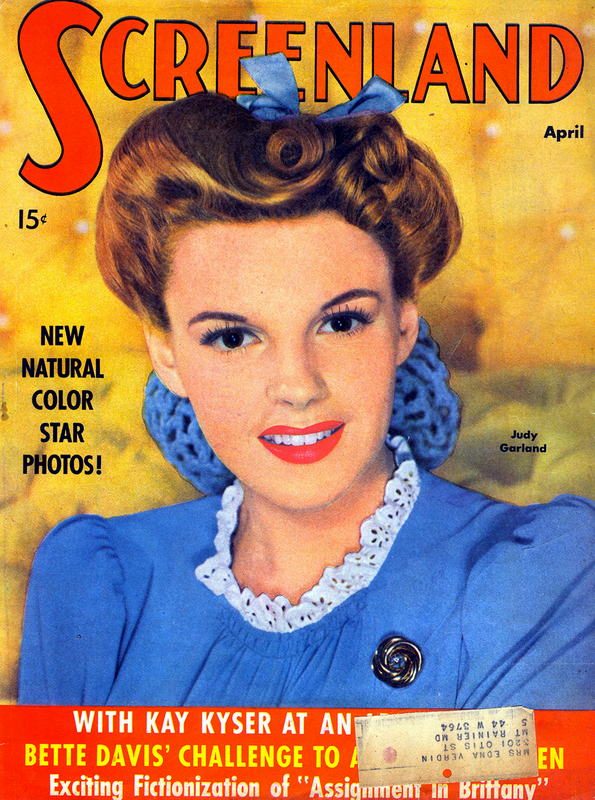 Time called: 10:30 a.m.; dismissed: 4:15 p.m.
April 1, 1943: Judy on the cover of “Screenland” magazine. Photo provided by Kim Lundgreen. Thanks, Kim! April 1, 1944: Filming continued on Meet Me In St. Louis specifically on the “Exterior St. Louis Fair” set. 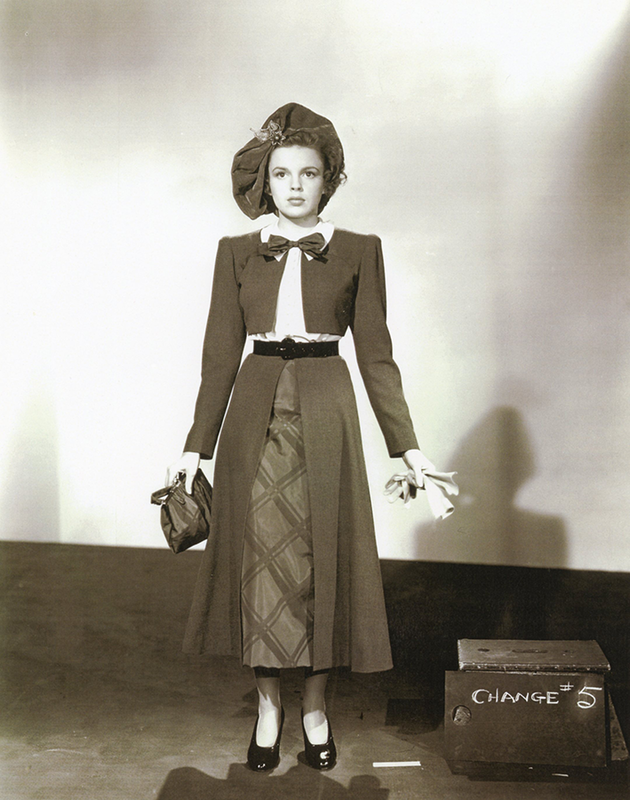 Time called: 10:00 a.m.; dismissed: 5:30 p.m.
April 1, 1949: Pre-recording sessions for Annie Get Your Gun continued with Judy and co-star Howard Keel recorded “Anything You Can Do” and Judy recorded her solo “I’ve Got The Sun In The Morning.” Judy arrived at 1:30 p.m. and was dismissed at 3:05 p.m.
April 1, 1950: This is the date that the columns claimed Judy was going to embark on a trip to Europe with husband Vincente Minnelli and daughter Liza Minnelli. 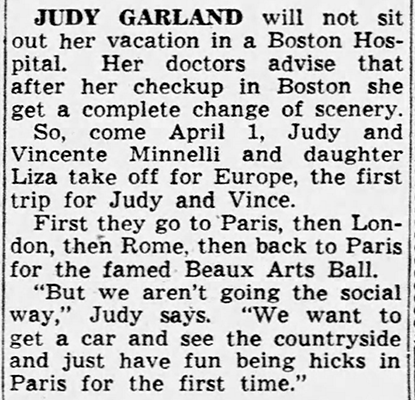 Judy had gone to Boston on March 20th for a rest after the ordeal of filming Summer Stock was over. But instead of Europe, she rented a house in Carmel, California, where she planned to rest for six months. 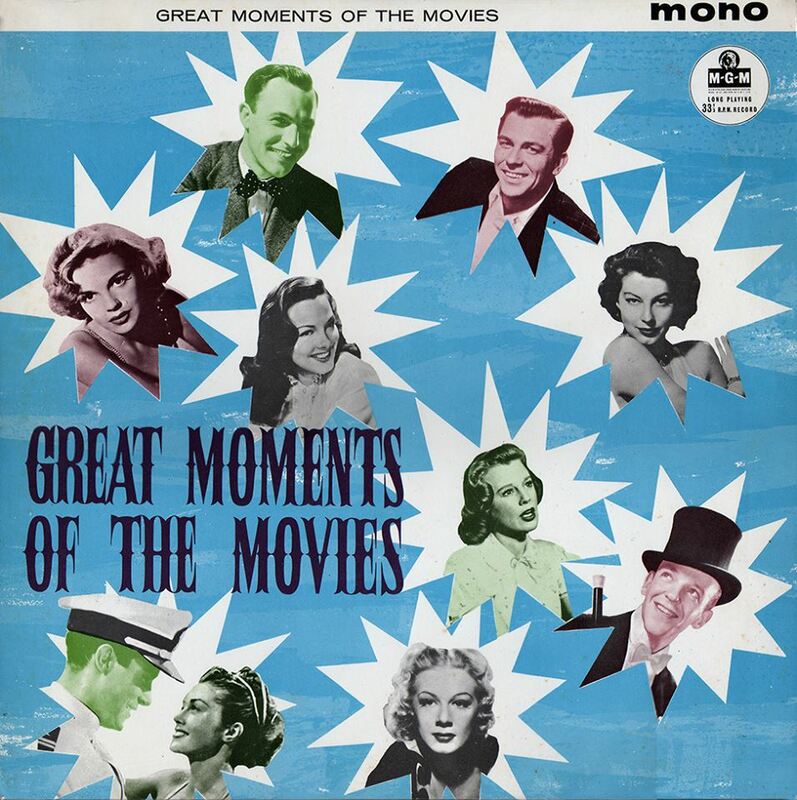 April 1, 1960: MGM Records, via their association with EMI in England, recently released this compilation of performances from their soundtrack albums in both the U.K. and Australia, titled “Great Moments Of The Movies.” The compilation was part of a new series of MGM soundtracks that feature two albums on one long playing 12″ record. 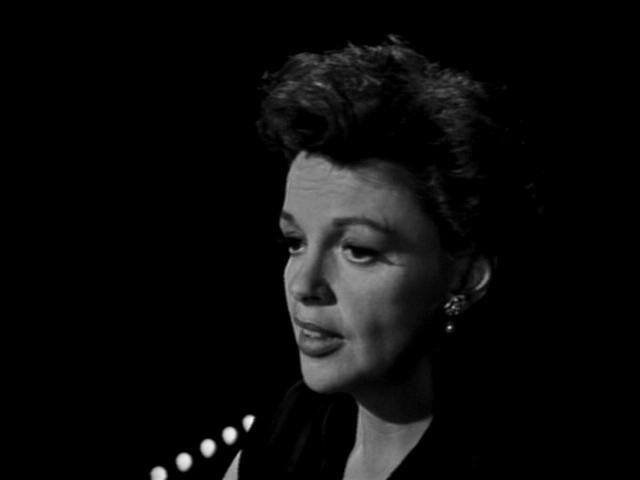 Check out The Judy Garland Online Discography’ “Great Moments” page here. April 1, 1962: Judgment at Nuremberg was nominated for 11 Academy Awards. Judy was nominated for Best Supporting Actress but lost to Rita Moreno’s performance in West Side Story. 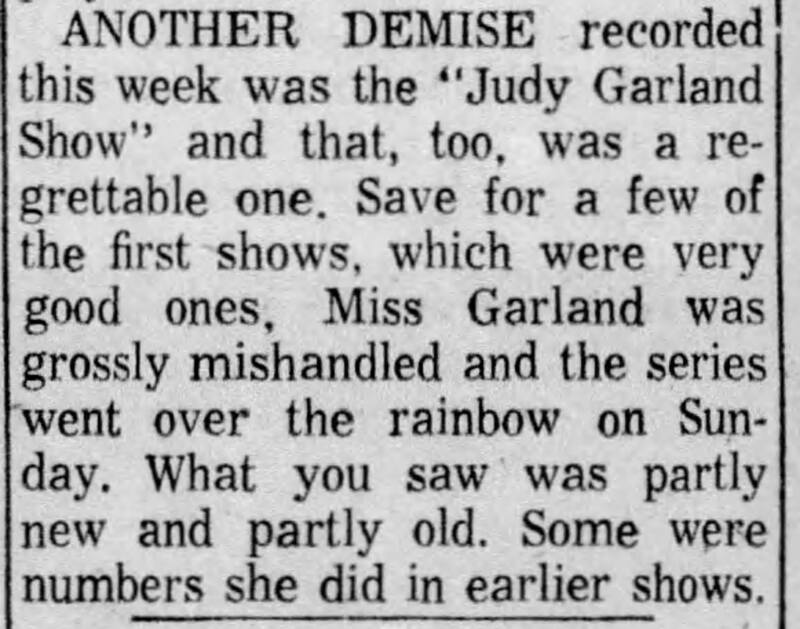 April 1, 1964: The cancellation of Judy’s series was still in the entertainment news. 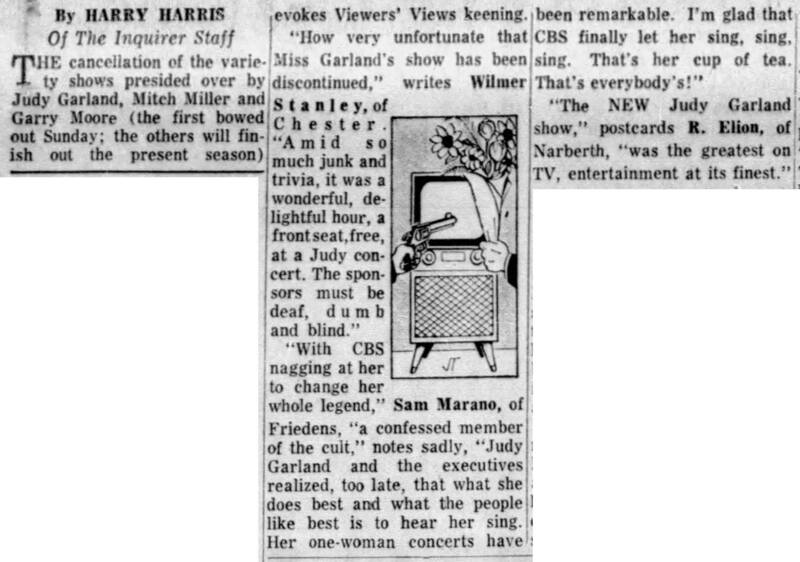 Note the fourth article with viewer comments about the show’s cancellation, and a one “Sam Marano” who identified himself as a “confessed member of The Cult [of Judy Garland].” Some things haven’t changed that much. I’m sure if Mr. Marano was around today he’d be quite vocal on social media. This is the earliest mention “The Garland Cult” that I’ve seen so far. 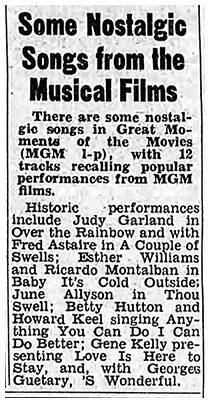 April 1, 1966: ABC-TV videotaped part of “The Hollywood Palace” with Judy as the hostess. Taped on this day were: “What The World Needs Now Is Love” and “Mr. & Mrs. Clown” with her guest Van Johnson. The show, including more performances taped on April 3rd, aired on May 7, 1966. 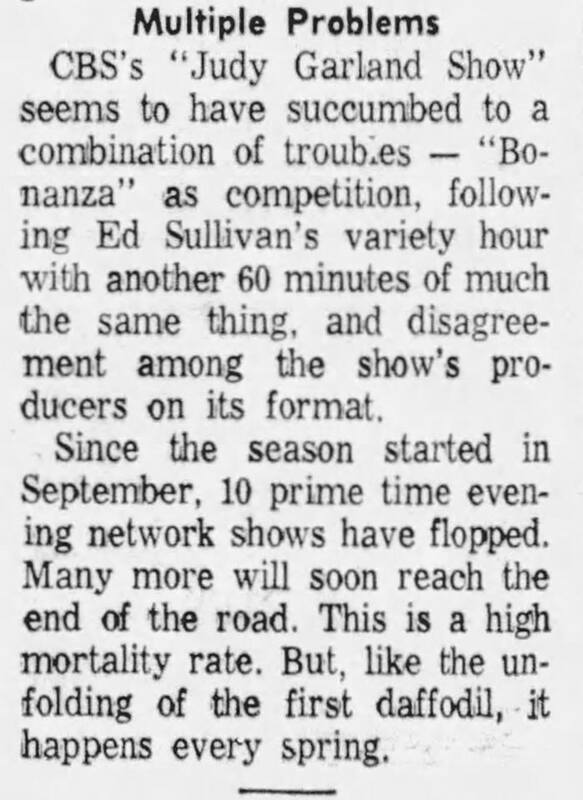 April 1, 1969: The recent British coverage of Judy’s marriage to fifth husband Mickey Deans made for an interesting blurb in Eddie Sherman’s column.